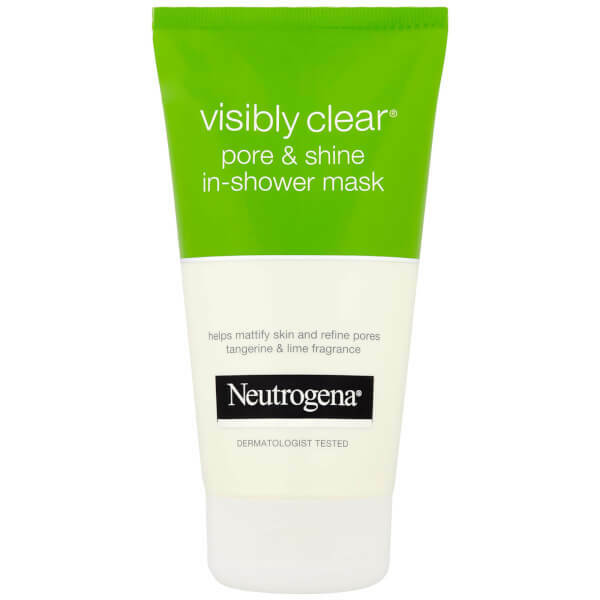 Discover a break-through, in-shower mask with the Neutrogena Visibly Clear Pore and Shine Mask; a clinically proven formula that mattifies the complexion, without drying skin. Ideal for acne prone and oily skin types, the effective face mask effortlessly glides onto skin and transforms the complexion whilst under the steam of the shower. Working in just 60 seconds, the Pore and Shine Mask is ultra-convenient and perfect for those with busy lifestyles. Offering a deep cleanse, the creamy formula is able to unclog pores to leave skin clear and refined. The mask also works tirelessly to remove excess oil from the visage, which offers an instant mattifying effect without removing essential moisture from skin. Complete with a refreshing tangerine and lime fragrance, the mask is an uplifting addition to any skincare regime. Expect healthy-looking, shine-free skin.